The Cycle Party group bike seats 15 riders and the Cycle Party driver. 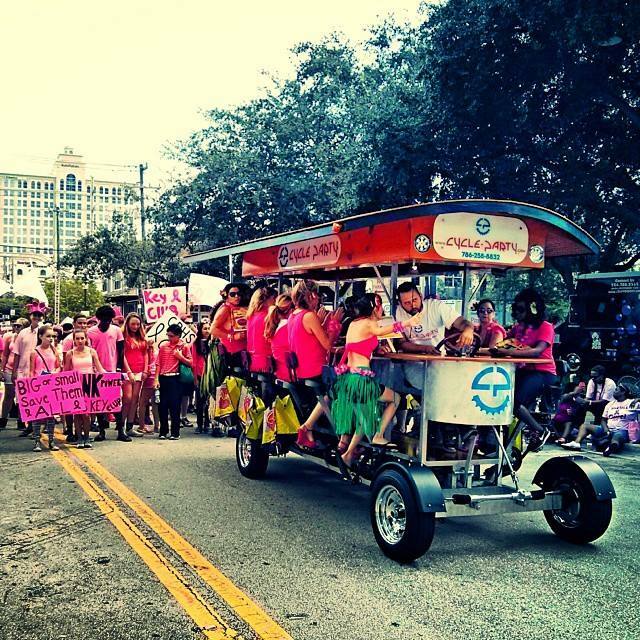 As a 15-person quadracycle, Cycle Party is perfect for any celebration and all social outings, including: birthdays, bachelor/bachelorette parties, ice cream socials, fund-raisers , church outings, progressive dinners, sightseeing, tailgating, pub crawls, singles mixers, parades (we are an instant float!) or YOUR VERY OWN REASON! How the rental time is spent is up to you! 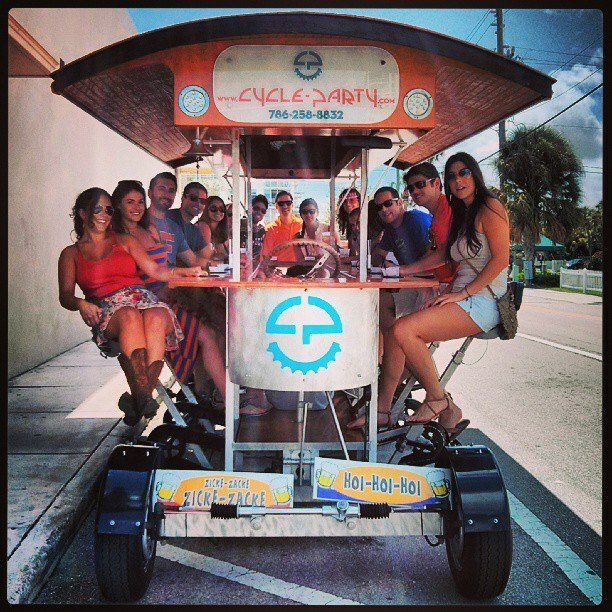 Cycle Parties typically run 2-hours in length but we can extend your tour by request. The Cycle Party can also be booked for the entire day to support your event, fund-raiser or outing. 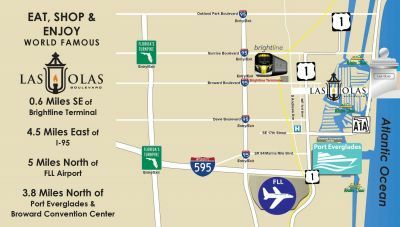 We can stop along the way at the various restaurants and pubs, or take the scenic route and maximize time on the bike. Regardless of how you choose to spend your time, we assure you that this is a wonderfully unique and safe way to enjoy a group activity. There are ten pedaling seats on Cycle Party. In other words, 10 riders pedal, 5 get to ride in comfort and lounge. You need at least 6 persons to book the bike.